Walking down Marina Beach with the sea breeze bringing in uncannily familiar and soothing olfactory sensations, I cannot help thinking to myself how this city perched on the shore of the Bay of Bengal has managed to make itself dear to me in a relatively short time. Maybe it is my fascination for seaports, maybe the calm and happy people, or perhaps the long history of Madras as a major urban center with a revolving door for traders, seafarers, explorers and religious mendicants to pass through. Perhaps that is too sentimental, and it is in fact the glittering malls and multiplex cinemas that make this city appealing, as no doubt many of the younger generations would have one believe, while hardly believing it themselves knowing well enough that these things can be found anywhere in the world. So what then makes this great city unique? Endless migrations and shifting populations have contributed to the vast array of genes, languages and customs of this tropical port city. 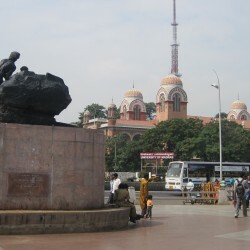 Although the region has served as an important administrative, military, and economic centre since the 1st century, Chennai as a modern metropolis began to be shaped at a fast pace only after the arrival of the portuguese in 1522 and the subsequent arrival of the Dutch and the British who shaped the city into a major urban and naval center. And let’s not forget the impact of the Arab traders and Armenian settlers, both long gone by now. In the 19th century the city was conjoined with other thriving metropolises such as Calcutta and Bombay by the advent of the railways and entered a new phase that continues today making it the fifth largest city of India and the 36th largest urban agglomeration in the world. But all that is history, facts and figures. How does the city feel and resonate at present? Many foreign travelers these days seem to disregard Chennai as somewhat of a nuisance on the way to some tourist destination or the other. Even popular guidebooks like Lonely Planet dismiss the city with a few paragraphs, calling it “muggy, polluted, hot as hell and difficult to get around” – a sentiment that seems to be echoed by a good percentage of travelers passing through it’s rather hectic yet colorful streets. Everyone is entitled to their opinion of course, but I dare say Chennai is an acquired taste and will greately reward anyone gracious enough to give it more than a brief scan while passing through. 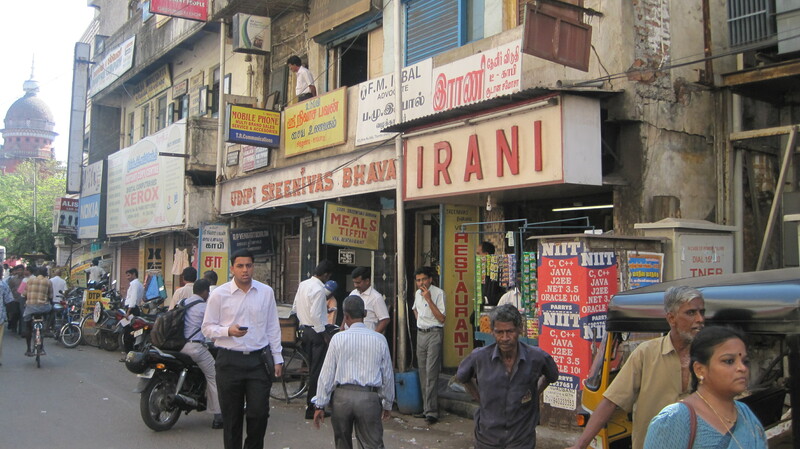 As Chennai often remains underestimated and unloved by other than it’s own citizens I plan to write a post about the city and it’s sometimes inconspicuous charm in the near future. if I cannot feel all the delicacy of your writing, because my english. Beautifully written. I feel so one with her heartbeat just reading the post. Aleksi – first off my heartfelt thanks to you.. 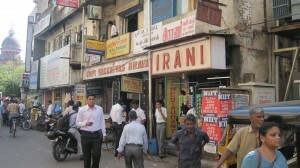 I am from “Madras” and i feel wonderful reading your post. Its true that even Indians do not realise the beauty of their own city.. alas madras is used to it by now.. 🙂 So am i.. hearing lotta people thrashing around my city.. earlier i used to get fiery and argue.. now i jus let it all pass.. That’s what Madras is too i would believe..